QRP operators strive to make the most out of a little. So when we receive a signal report it means a lot to us. But the common signal report, given using the R-S-T System, seems often to be misunderstood by some amateur radio operators. R stands for Readability. How easy or difficult is it to copy the characters or words being sent on a scale from 1 to 5, with 1 meaning unreadable ranging up to 5 meaning perfectly copy-able. S stands for Signal Strength. How strong is the signal on a scale from 1 to 9, with 1 being barely perceptible up to 9, being extremely strong. T stands for Tone. This is only used to describe a CW signal's tone. Given modern transceivers there are few cases where you'd send anything other than a 9 meaning perfect tone, devoid of ripple or modulation. You'll rarely hear a report with a Tone report other than 9, but if you hear ripple or modulation artifacts you may send lower numbers but it will likely just confuse the other operator. If you hear chirp (a rising or falling tone) you may wish to append a 'C' to the RST to indicate that. I want to concentrate on Readability and Signal strength. I believe most of us are guilty of focusing on the signal strength portion of the report rather than readability. But readability can convey a lot to the operator receiving the report. For instance if you have a lot of local noise or if the band is noisy due to magnetic disturbance or there's QRM or QRN readability may be difficult. Similarly, if the operator is using poor technique and running letters or words together that affects readability. It's possible that signal strength may be good or even moderately strong (6 or 7) but for some reason copy is difficult. It would be worthwhile to send a 2 (Barely readable, occasional words distinguishable) or a 3 (Readable with considerable difficulty) for the 'R' portion of the signal report as in 359. Then follow up with WITH QRM or WITH POOR SPACING, to make the other operator aware that you're having trouble copying. I will occasionally have an operator send me a 3 for R but it seems to always be related to low signal strength. If someone sends you a 3 or a 4 and it's not followed by an equally low signal strength number inquire as to the difficulty in readability. It may be something you can correct on your end. Signal seems obvious but it's not. I believe that many operators use the reading on their S-meter to report the Signal strength but different manufacturers calibrate their S-meters quite differently. The difference between S-units is supposed to be 6 dB but that's often not the case. On many rigs the use of the preamp or the attenuator also effects the displayed S-meter reading. So the S-meter is not an accurate reflection of what Signal strength is supposed to convey. My old Ten-Tec Century/21 doesn't even have an S-meter. Neither do my homebuilt QRP radios. 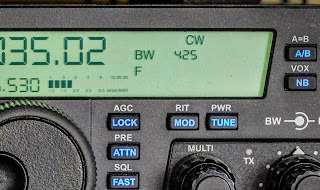 Obviously this is a subjective report, but on my KX3 my S-meter may read 2 when the signal actually sounds Good (6), so I send a 6 even though the meter reads 2. If I were to send the other station the S-meter reading of 2 they'd assume I'm barely copying them, because I sent them a 529. I think you can start to see the point. Use the system as it was designed, before radios had S-meters and the Signal report will have more meaning to the station receiving the report. My Ten-Tec C21 doesn't have an S-meter but it does have AF and RF gain controls. I will commonly run my AF gain at a high level and use the RF gain to control the volume of the received signal. This increases the SNR (signal to noise) and gives me a relative gauge of how strong the sender is. If I have my RF gain turned all the way down and still clearly hear the other station they have an extremely strong signal (9). If I have to turn my RF gain all the way up just to copy then the signal is very weak, or faint (2 or 1). In between those extremes I offer a relative report based on the signal strength I am hearing. So, reconsider how you give a signal report. Think about the original intent of the R-S-T System and you'll be conveying far more information in your report that may help the other station know for certain how they are being heard. I start most QSOs at QRP levels. 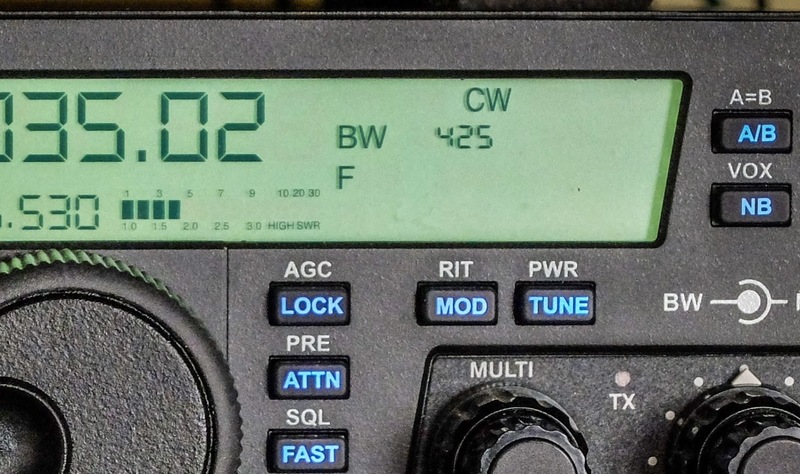 If the other station sends me a report that is below a 5 in readability or a signal strength 5 or below I change antennas or raise power, if I'm able, to make their copy of my station more pleasurable, but if they send me a 599 when they are barely copying me or losing me in QSB then how can I know to make a change? Maybe this is a radical idea but for my own operation I will strive to start sending more accurate reports and help the other station truly know how they are being copied. OH YEA ... FCC: Use only the power lever needed for good communications. Well said Richard! I strive to do the same, but we all fail from time to time. However, I cannot understand why some DX stations struggle to copy a weaker station calling them, with many attempts to copy their call sign correctly, and then give them a 59! What are they thinking! 73s from the TX Factor Team.